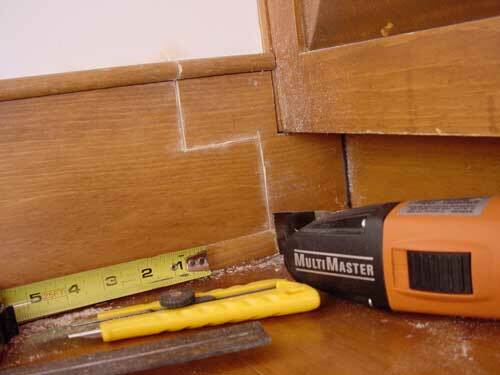 Multi-tools are small, versatile, hand-held power tools that help you sand, saw and scrape in dozens of home renovation situations in tight quarters. I’ve been following the multi-tool category closely since it first appeared in a small way during the early 1990s, and since then I’ve tested all major brands for effectiveness in refinishing windows, removing old tile grout, polishing corroded brass, peeling off old indoor/outdoor carpet and making intricate cuts in various pieces of wood in close quarters. I find multi-tools genuinely useful, and the last five years has seen the category grow in effectiveness. Attachments like sanding pads, saw blades for wood, metal and drywall, tile grout removal, abrasives and felt polishing pads are the reason why. Never seen a multi-tool in action? Take a look at my multi-tool video tour. If you’ve got refurbishing to do around your place, let me show you what matters when it comes time to choose a unit. When multi-tools first came out, sanding pads and saw blades were held onto the tool shaft by friction only, but heavy use caused these attachments to loosen over and over with frustrating speed. 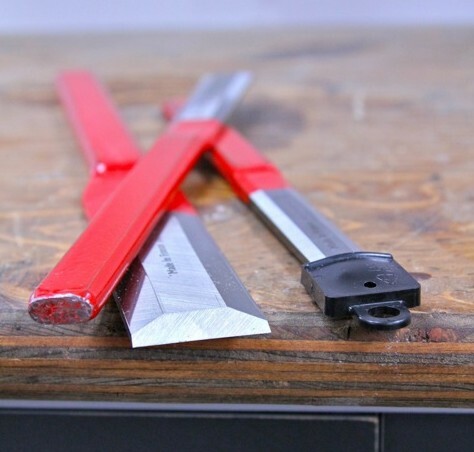 This prompted tool engineers to come up with a more secure option for securing sanding pads and saw blades, and that’s what we’ve got now across the board. These days all models sport attachments that lock mechanically with the tool, held in most cases by a small bolt. The only exception to this design are multi-tools made by the European brand Fein. Some of their models sport a lever-operated attachment system which eliminates the need to go scrounging around looking for a tool to do the job. It works very well. At the moment, two different and competing attachment interlocking systems are popular, and this causes a large measure of incompatibility between different makes. Some brands use a star-shaped connection pattern to secure attachments. Others use a circular array of interlocking pins. Only the Milwaukee multi-tool includes an adaptor that allows all kinds of attachments to be used on a single tool. You wouldn’t think that power matters much when it comes to small tools like these, but sometimes it does. Many of the most recent multi-tool models are powered by a 12-volt rechargeable battery, and while these are convenient and offer reasonable power, cordless models aren’t quite as powerful as corded ones. Will you be sanding? Power isn’t much of an issue for this work, since it doesn’t take much energy to move a sandpaper triangle back and forth. 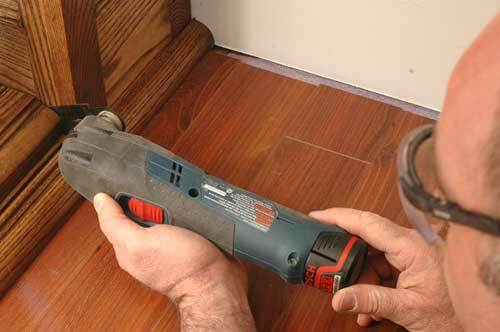 But the situation is different when it comes to cutting wood and removing tile grout. That’s when a more powerful multi-tool yields considerably faster progress, and amperage draw is the best yardstick for assessing power. Every plug-in electric tool has information printed somewhere on the side. This area is generically called the nameplate and always includes a figure on how many amps of electricity the tool draws. In reality, this figure varies depending on the load imposed on the tool, but nameplate amperage is still a reasonable rough guide for comparative tool power in corded models. Amperage draw in the corded multi-tools I’ve tested most recently range from 1.5 amps to 2.3 amps. This amounts to more than a 50 per cent difference between low and high, so it’s worth considering. Multi-tools have let me accomplish home maintenance jobs that would never have been practical otherwise, especially when it comes to sanding small and intricate areas of wood before refinishing. If you’re serious about the maintenance responsibilities in your life, a multi-tool can definitely help.